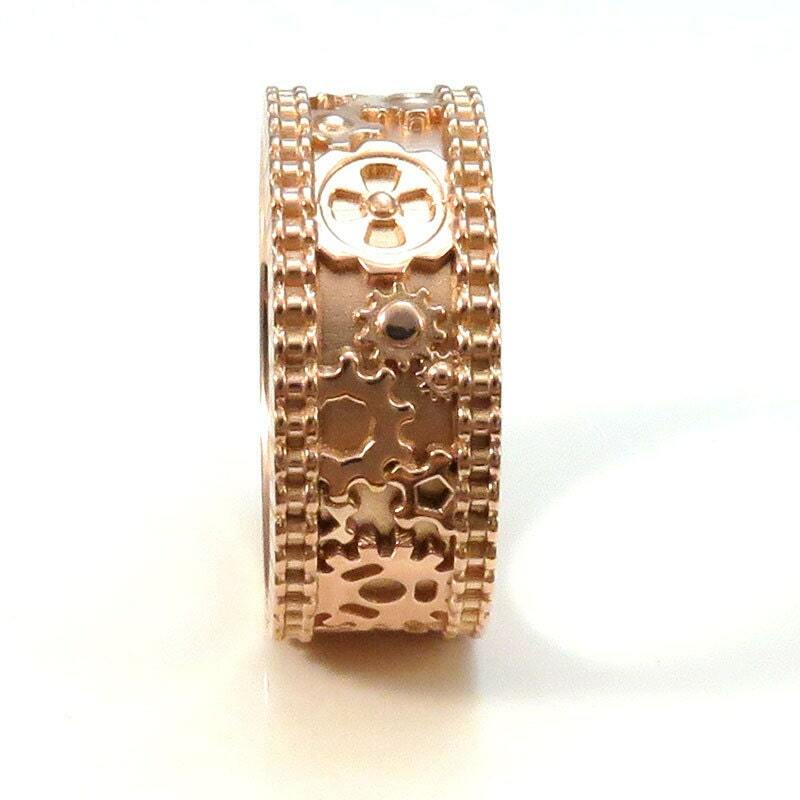 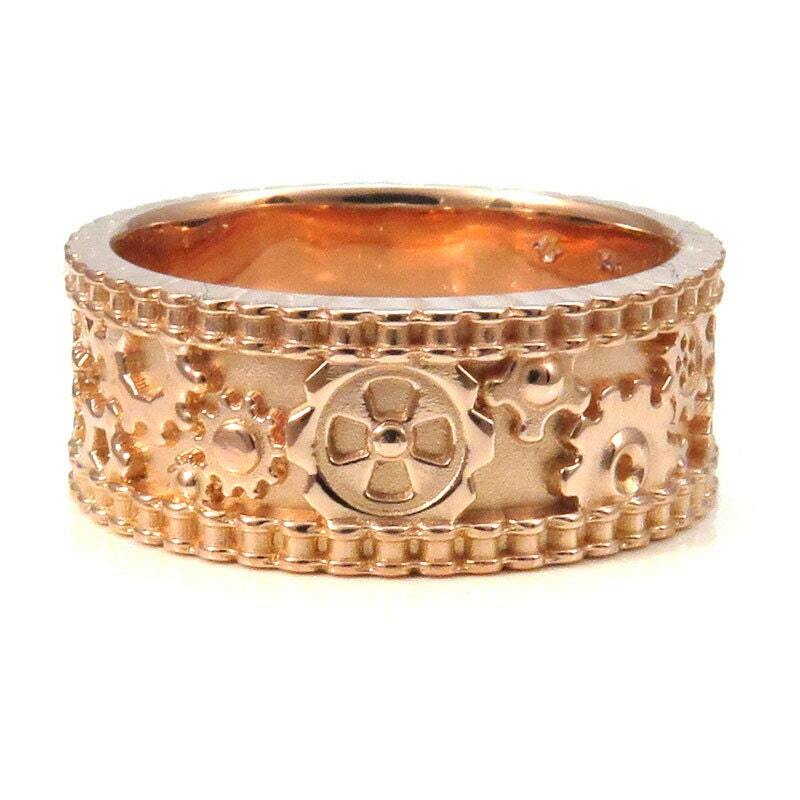 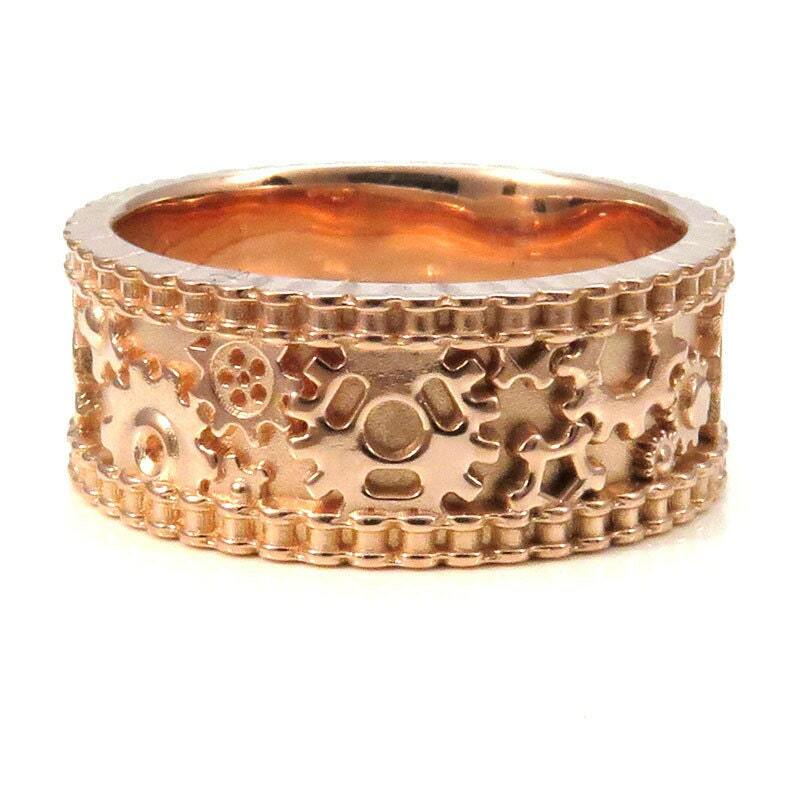 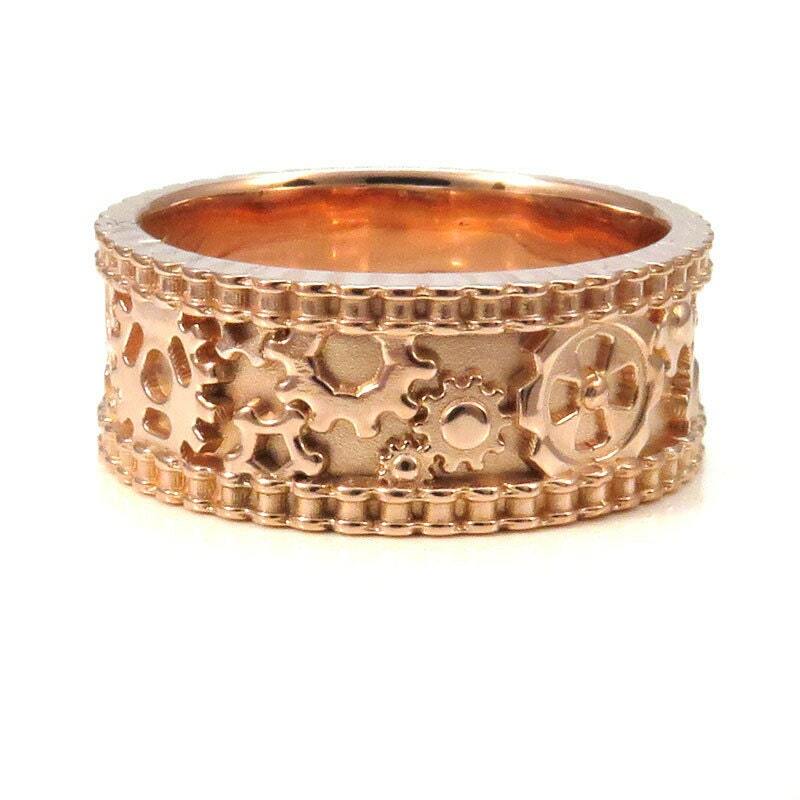 Our popular bike chain gear ring is available here in 14k rose, yellow or palladium white gold. 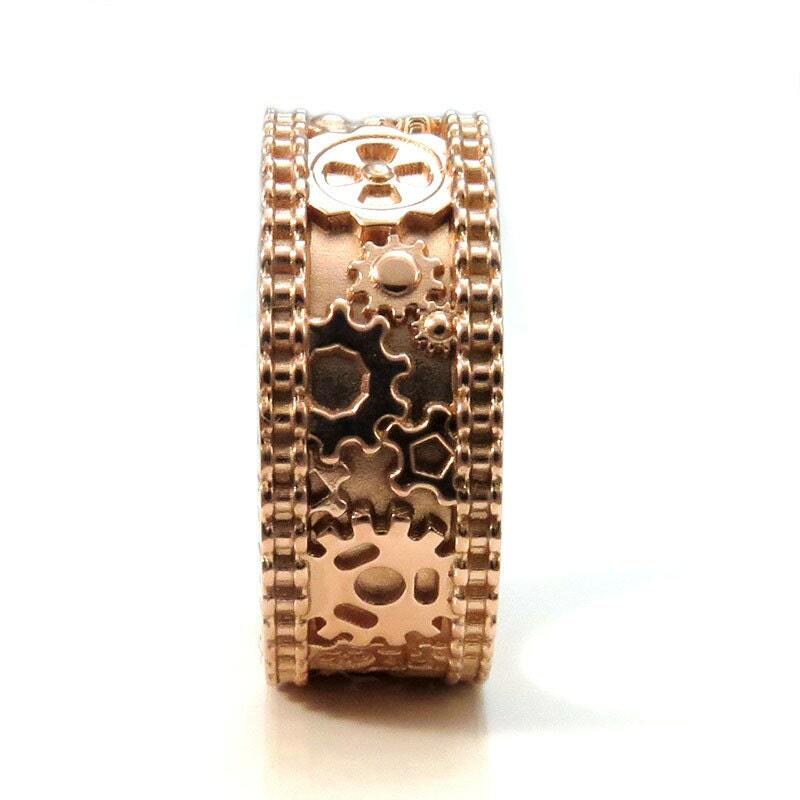 The ring is 10mm's wide and has a continuous gear pattern through the center and bike chains bordering either side of the ring. 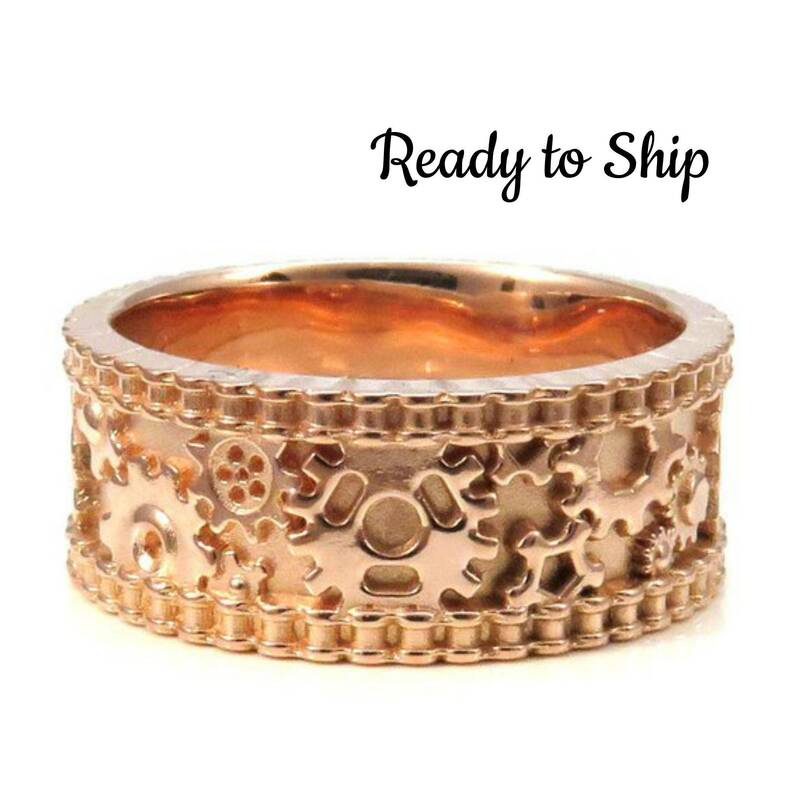 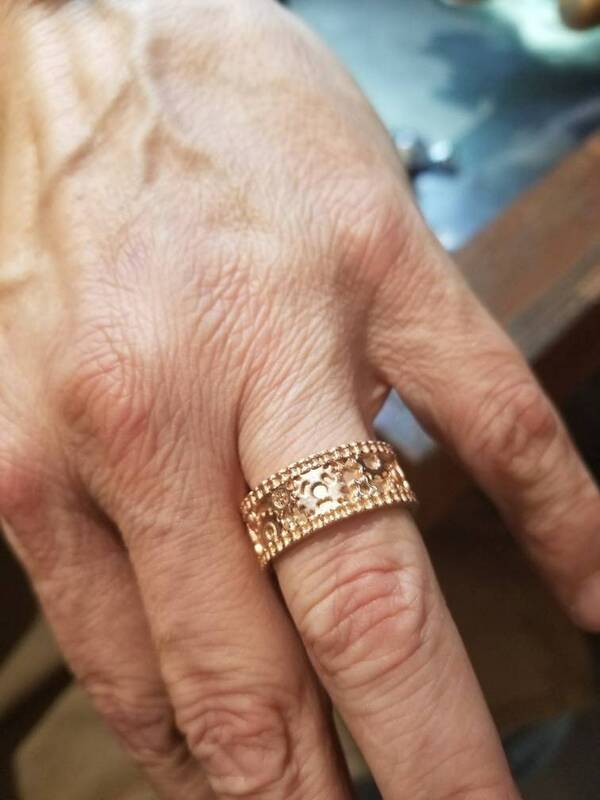 The ring in the photos is a size 9.5 and ready to ship, it can be sized up to a 10.